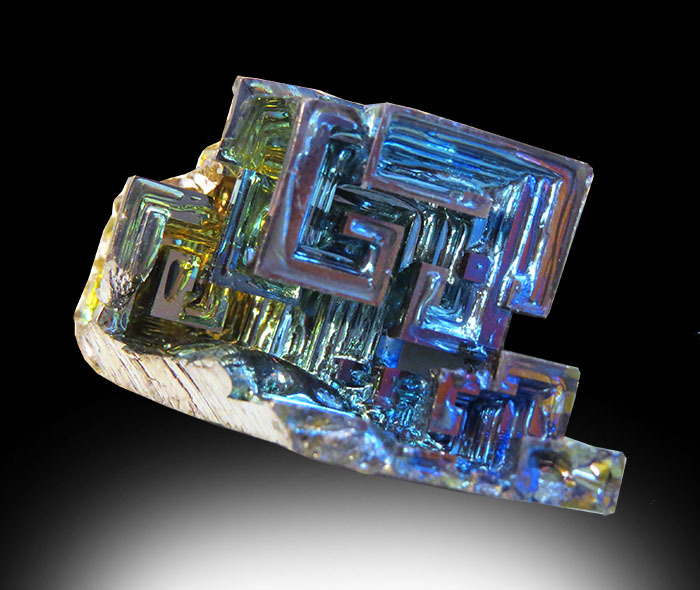 Bismuth is a chemical element resembling arsenic and antimony. 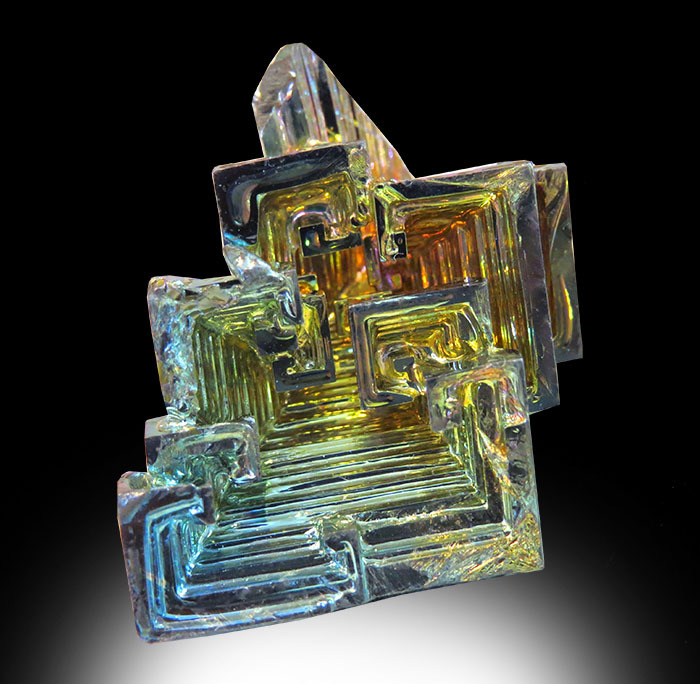 Elemental Bismuth occurs naturally uncombined, but this sample is the sulfide and oxide form. 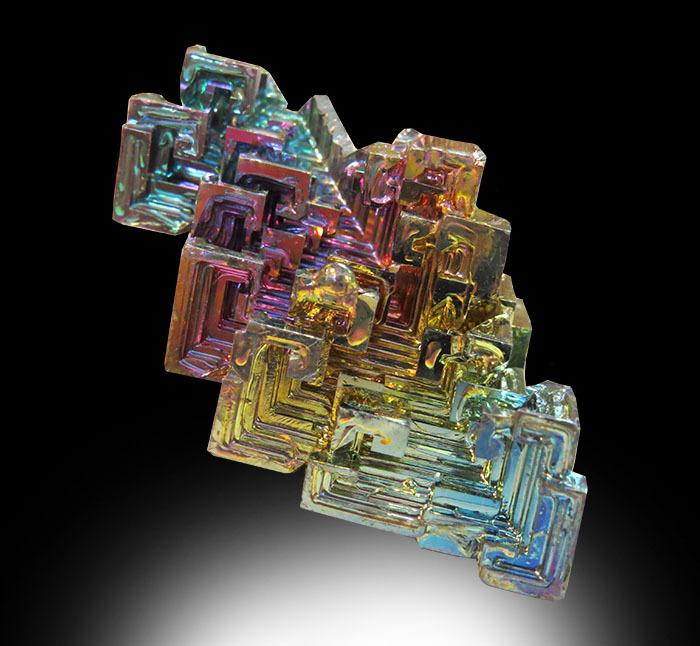 Comercially, Bismuth compounds are used in cosmetics, medicines and in medical procedures. In the Earth's crust, Bismuth is twice as abundant as gold, however is not very economical to mine, so they usually produce it as a byproduct of the processing other metal ores like lead, tin and copper. These specimens are all lab grown and not "naturally occuring." All specimens are approximately 1.25-1.5 inches wide!